The main problem with the “My taxes pay your salary so I want you to take action on my behalf” argument is that the top 20% pay more taxes than do working-class citizens, and often, the actions they want taken are contrary. The government has to do what’s in the public interest. What most people don’t realize is that there are many publics, each with their own interests. The government only chooses which interests from which publics they will act upon. 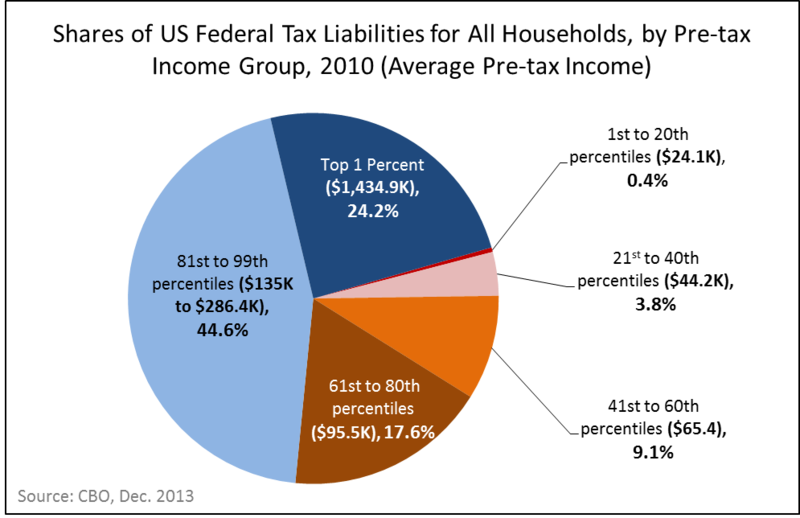 As can be seen in the above chart, the top 20% of earners pay almost 70% of individual taxes. The bottom 80% account for only about 30% in the USA. So beware that when using the, “I pay your salary” argument, you probably don’t; but by saying so, you justify being ignored. ← Magnesium: The New Oil?